In the “Down” position, which is recommended when you store the vacuum lifter, the parking stands provide support for the lifter so that the vacuum’s rubber seals will not touch the ground. 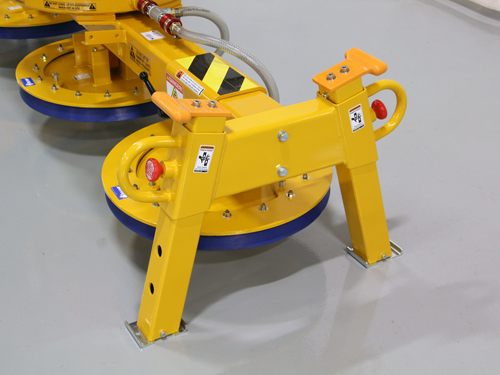 This protects the seals from damage as well as helping to maintain their shape and prevent them from flattening out. 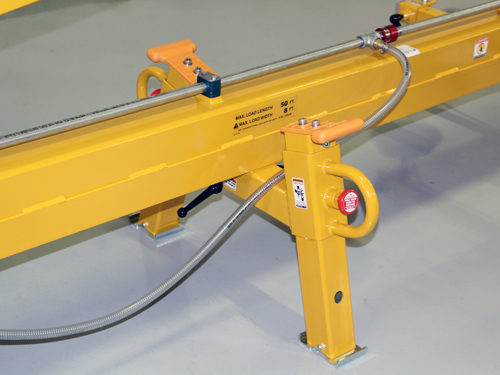 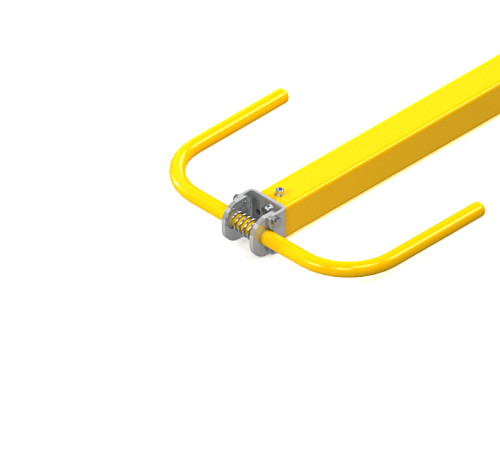 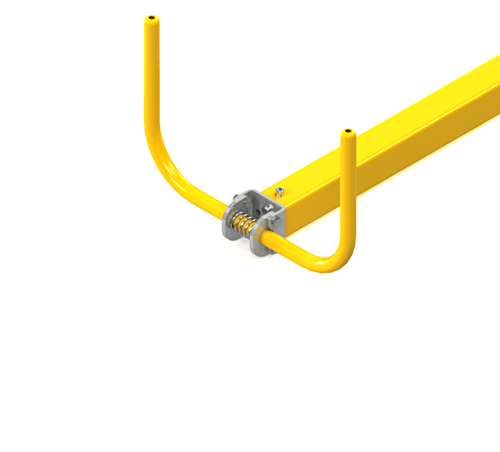 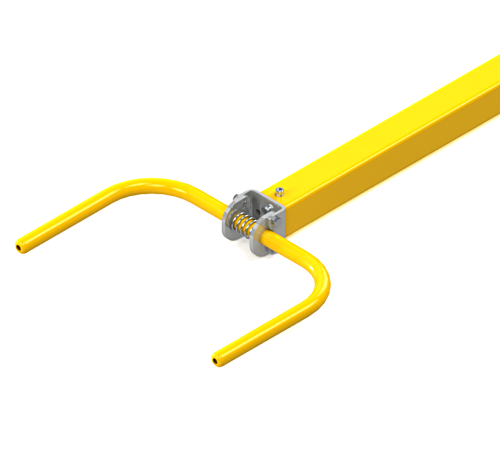 In a “Folded In, Out or Up” position, standard spring loaded parking stands provide a Grab Bar for positioning the lifter easily and precisely onto the load from the side of the lifter. 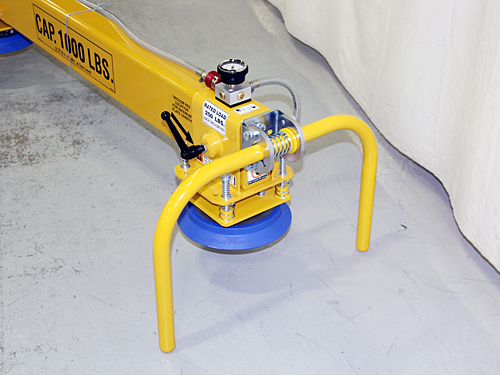 ANVER Spring-Loaded, Adjustable, Four Position Parking Stands keep the vacuum sealing rings clean and debris-free. 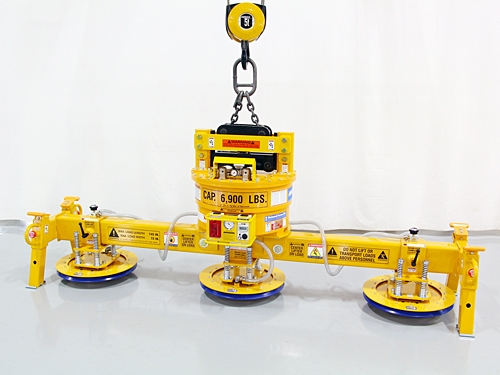 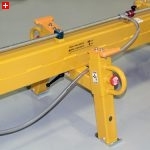 PLUS, in their other positions, they can be used to locate the lifter precisely over the load. 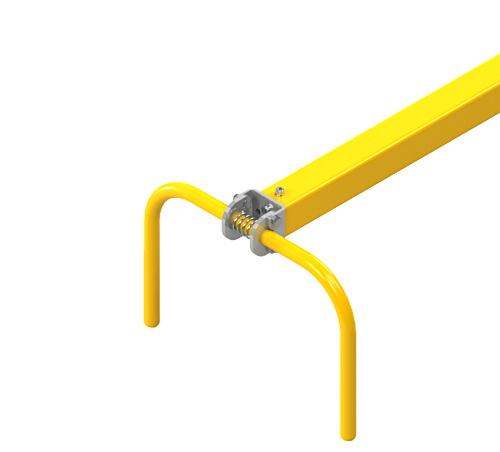 They feature rugged steel construction. 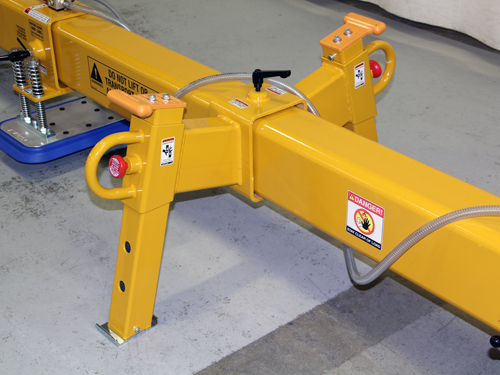 Multi-position, telescopic parking stands provide a convenient means of storing ANVER lifters when not in use. 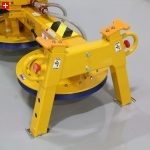 They permit storage of the lifter with the vacuum pad seals off the ground, reducing the chance of damage to the seals. 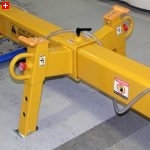 Note: Parking Stands Assemblies are based on lifter configuration, pad suspension, and load type. 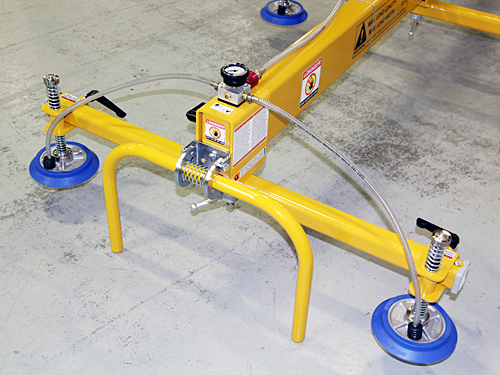 Any variations of the criteria may result in a part number change at the discretion of Anver Corporation.